Move Over Pacman, King Mayweather Wants His Throne Back! By Lou "Cinder" Block The return of Floyd "Money" Mayweather Jr. or shall I say the PPV King and pound for pound King? There is no question now who the top dog is in the sport of boxing. I have been getting sick of the hype about a little Filipino named Manny being the top dog, all I can do is laugh at that gesture. Pacquiao is nowhere near the level of Floyd Mayweather … [Read more...] about Move Over Pacman, King Mayweather Wants His Throne Back! Will Chris Arreola become the first Mexican-American heavyweight champion? By Warren Cloud This Saturday, #1 ranked WBC contender Chris Arreola is scheduled challenge Vitali Klitschko for the heavy weight championship of the world in Arreola’s home state of California. This will by far be the most important fight of Arreola’s career and certainly his most challenging. 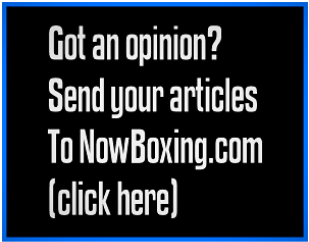 Arreola has made it clear that he is confident he will defeat Klitschko and … [Read more...] about Will Chris Arreola become the first Mexican-American heavyweight champion? Will Mayweather prove us wrong again? By Warren Cloud. This Mexican independence day weekend, Millions of Juan Manuel Marquez fans were hoping for an upset that was never meant to be. Marquez' past fights against boxing greats like Marco Antonio Barrera, Joel Casamayor, and Manny Pacquiao had proven Marquez a warrior composed purely of guts and heart.The HBO mini series Mayweather-Marquez 24/7, allowed us a … [Read more...] about Will Mayweather prove us wrong again?